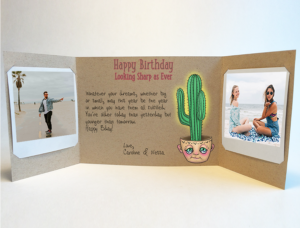 It’s Time to Spice Up the Greeting Card Industry! 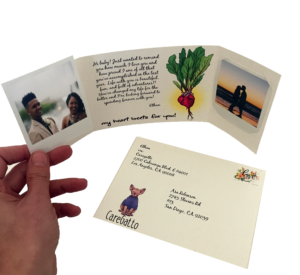 A new Los Angeles startup brings a breath of fresh air to the stagnant greeting card industry. Meet CareGatto and their new take on the old greeting card concept. Launched in 2017, their mission is to gift smiles and to make it easier, entertaining, and sentimental to give. Staying connected in today’s digital world has sadly become more difficult than ever. We all know being a mom is a full-time job, it sometimes leaves little to no time to care for the important people in our lives. Not only that, but we are often too busy staying connected to our smart devices that we are disconnected from our fellow humans and forget the importance of human contact with our psyche. CareGatto aims to help put a tangible touch in showing love and care to our loved ones, in the most time-efficient way. Going through their birthday collection, you can’t help but notice their edgy illustrations that are definitely fun, lively, and full of character. 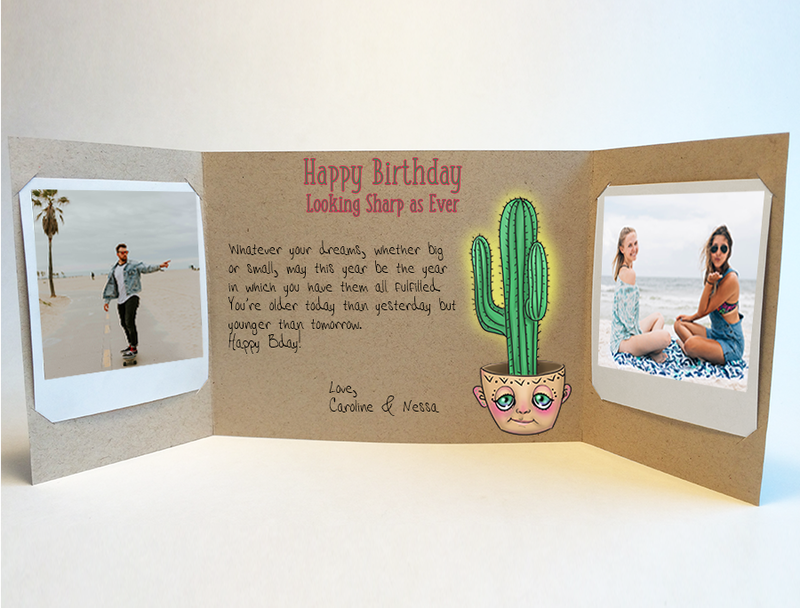 The folded design for their Photo Greetings includes two real photos inserted on each side of the card with the message typed up in the middle along with a unique illustration. In its closed form, coming out of the envelope, you don’t see the message or the photos, so opening the card has a complete surprise factor. The photo inserts can also be easily removed and kept long after the card is put away, so the memories outlive the card. You can link your Instagram account and upload photos directly from your Instagram page, or upload them from your phone or computer. 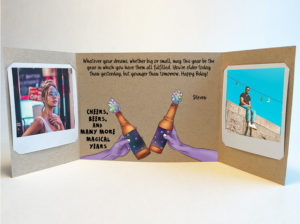 These personalized birthday cards can be customized and sent directly to the recipient via their website so the drive to the store to pick up a card followed by a drive to post office to mail the card can all be avoided. Whether you’re looking to send love notes, birthday cards, a small gift, or mail a card just because, you can be sure to find something for that special occasion and loved one on their site. 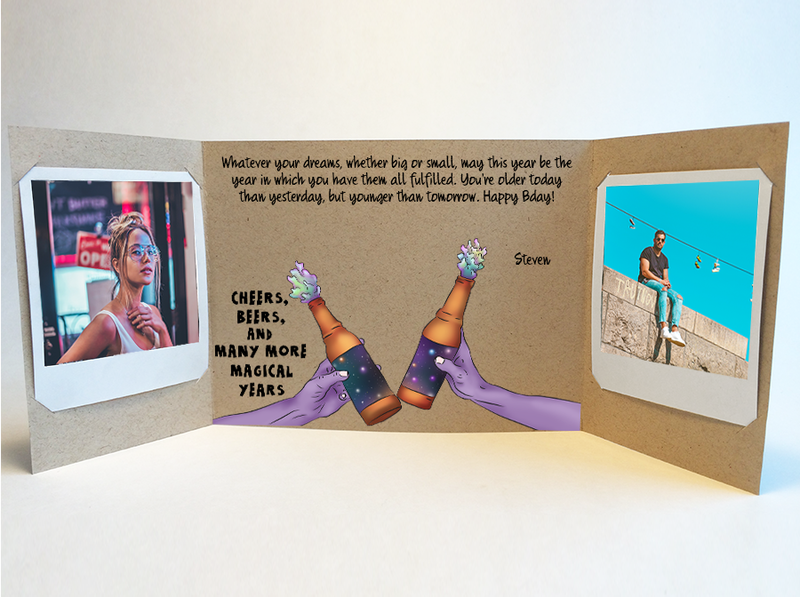 If you’re not an avid writer and need a little help deciding what to write in a birthday card, they have plenty of pre-written text messages to select from. So next time a loved one is celebrating a special occasion, from a birthday to an anniversary, a new home purchase and everything in-between, instead of sending them a text, hop online and send something tangible, something with your personal touch. It’s a simple gesture but one that can go a long way.